If you’ve gotten tired of the endless barrage of sexual harassment and assault allegations coming to light with little to no evidence, grab some Red Bull because Texas politics is next in line. Although there haven’t been any names named yet, so far we’ve got a lot of women who have worked at the Texas Capitol coming out to local and national media about horrifying stories of men involved with state government acting like creeps. It’s gotten so bad that some are calling for sexual harassment policies to be updated. Lawmakers in both chambers on Tuesday said they would look at how to improve the process for reporting sexual harassment at the Capitol. The push follows reports on a wide range of harassment at the Capitol, including degrading comments and gestures, groping and unwanted sexual advances, that regularly goes unchecked. Women working in Texas politics have apparently been sharing a spreadsheet with each other for a year that lists mostly Democrats who had a reputation of taking advantage of their positions of power. The men in the document include campaign workers, legislative staffers and lawmakers. Some of the allegations are recent; others stretch back 20 years. Most of the women who contributed to the list and circulated it early on worked for Democrats, so most of the accused men are also Democratic officials or staffers. But as with Hollywood, we’re getting a lot of allegations with very little paperwork. Some women are saying that the sexual harassment policies for state employees is laughable, and an oversight committee that’s supposed to review these complaints wasn’t even known to exist. The Capitol has hardly any actual complaints of sexual harassment. 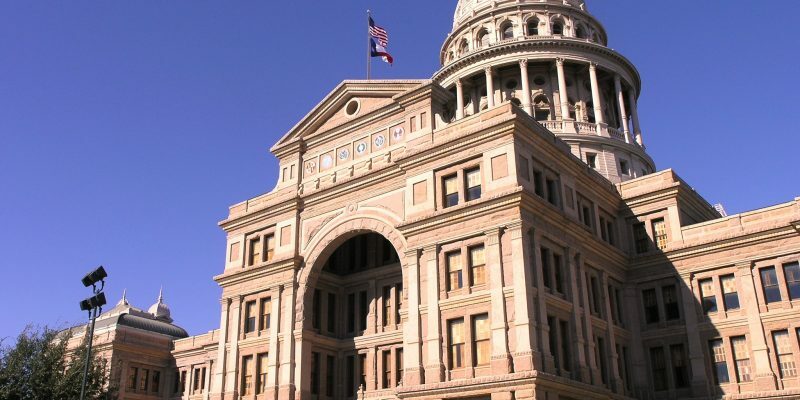 As sexual misconduct accusations pile up against men in power across the country, interviews with more than two dozen current and former lawmakers and legislative aides indicate sexual harassment not only is pervasive at the Texas Capitol but also regularly goes unchecked. Most of those interviewed described how men at the Capitol — some of them lawmakers — engaged in a wide range of harassment, including degrading comments and gestures, groping and unwanted sexual advances. Yet not a single formal complaint of sexual harassment has been filed in either the House or Senate since 2011, according to a review of public records and interviews with officials responsible for fielding complaints. Even though sexual harassment policies have been in place for two decades, few employees interviewed by the Tribune even knew they could file a formal complaint. Several former staffers said they would not have reported their experiences with sexual harassment to House Administration because they had no confidence that the member-led committee would be objective. “I probably would never even have felt like that was an outlet that I could trust, but I didn’t even know that was a process that existed,” said Genevieve Cato, a former House employee who has spoken publicly about harassment at the Capitol. We’re already getting plenty of stories though, and state papers are currently busy digging into particulars. Disgust overwhelmed her when she felt his tongue on her hand. A capitol staffer, she had been at a large party celebrating the end of a legislative session a few years ago and was on her way out when a male lawmaker she had never spoken to reached for her. “You can’t leave yet,” the staffer remembers the lawmaker telling her as he held her hand tightly. She thought he was going to bring her hand to his mouth and kiss it. Instead, he licked it and refused to let go. Another former staffer described the Capitol as a place where sexual harassment is “as common as a hello,” where powerful men can prey on employees with impunity. She recounted greeting several guests at a lobbyist’s party who were sitting at a table. Among them was a lawmaker, who in a “split second” shot his hand up her skirt. The staffer said she pushed his hand away and quickly left the event in distress. She remembers being thankful for wearing the “right underwear,” noting that otherwise he could have penetrated her. Governor Greg Abbott is saying that he’s willing to work with the legislature to create some updated policies, but I have a feeling we’re just beginning with these stories. And as we’ve seen with some other cases, it’s only a matter of time before the names start coming.